Annies. More than just food. www.annies.com Community Policy: Annie’s mission is to cultivate a healthier and happier world by spreading goodness through nourishing foods, honest words and conduct that is considerate and forever kind to the planet. Oh, and we believe in one more very important thing… having fun! We wouldn’t be where we are today without our incredible fans, and there’s truly nothing we love more than hearing from you! In an effort to keep things respectful and welcoming for all, we’ve created a few playground rules for our amazing community. Check ‘em out below: 1. Play nice and be kind: treat others the way you’d like to be treated. No inappropriate, disrespectful, harassing, or otherwise abusive posts. 2. Post appropriately: please do not post any spam, advertising/promotional or otherwise affiliated posts; no repetitive or inflammatory statements. Any inappropriate images will be removed immediately. 4. Contribute only original content: we love to see your content! Please only share photos, videos, links and text that you own or have rights to. Please refrain from posting anything that you don’t have permission to use. 5. Identify yourself: if you're an employee or partner of Annie’s, please make this declaration – introduce yourself! While this is an open page for fan discussion, we do reserve the right to remove any posts or community members that are in violation of these guidelines. Of course, we know how wonderful you all are and don’t expect this to happen! We think we have the world’s best fans. Thank you for being a part of our community at Annie’s! 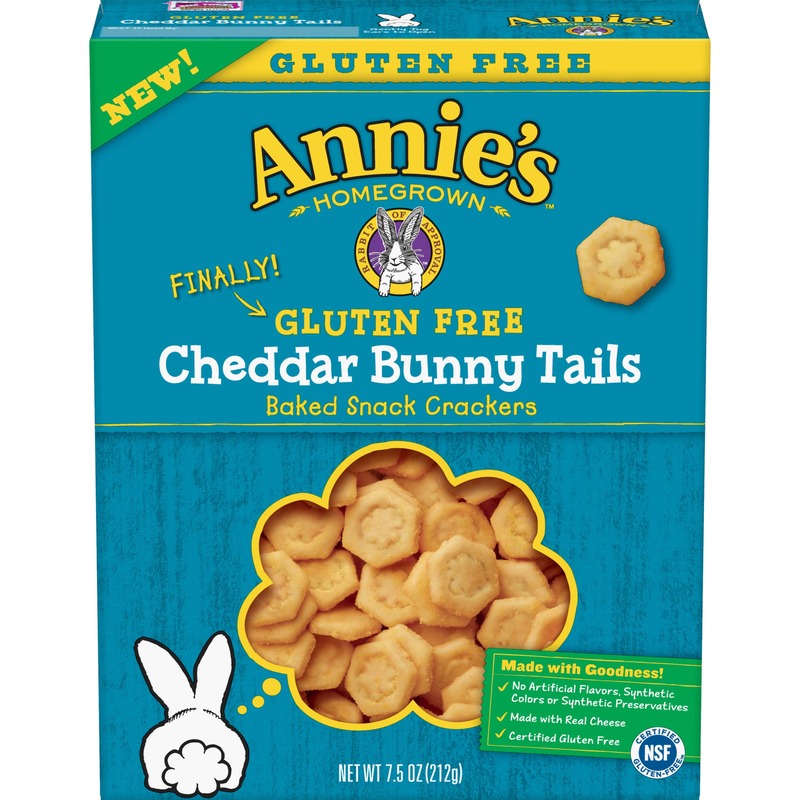 After receiving hundreds of notes from fans over the years, Annie’s Inc., known for its beloved Cheddar Bunnies, is proud to announce the launch of Gluten-Free Cheddar Bunny Tails – a delicious, crispy cracker made with real cheddar cheese and gluten-free goodness.